The Reverend Pete Anderson Eastsider T is here presented in a limited edition Gloss Aqua Sparkle finish - with Violin Brown back and sides. This particular finish is only available from Merchant City Music in the UK, and we only have one, so act fast! 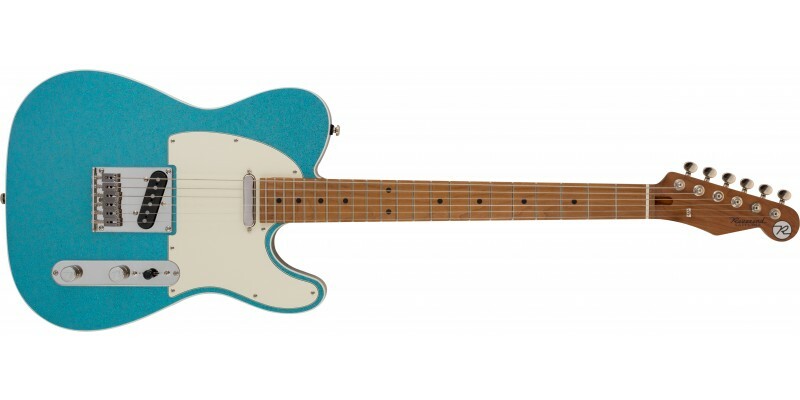 Although it takes inspiration from the Telecaster, this is no clone; its chambered Korina body, compound radius fretboard, stainless saddles and push-pull phase switch are all designed to make it unique and stage-ready out of the box. We love Reverend guitars here at Merchant City Music; they seem to constantly provide features and playability far beyond their price tag. Every one we sell receives a full set-up from our in-store guitar luthier. We ship fast to the UK and worldwide. It you are a fan of the Telecaster shape but looking for something a little different then the Reverend Pete Anderson Eastsider T with Roasted Maple neck could be for you. The Reverend Eastsider T is a signature guitar for country/roots rock player Pete Anderson. The body is crafted from chambered Korina - an outstandingly resonant tonewood - but the addition of body cavities gives it even more ring. 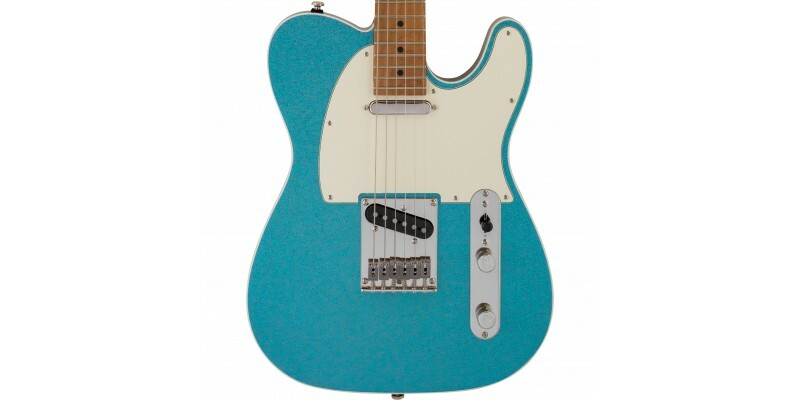 In terms of finish, the body has a Gloss Aqua Sparkle colour with white pickguard. Bolted on top of this is a 22 fret roasted maple neck and fretboard, which is a true revelation to feel. Reverend's Roasted Maple necks are probably the best feeling in the shop! The fretboard features a 10 to 14 inch radius; great for chord work at the bottom and string bending at the top. The Reverend Pete Anderson Eastsider T comes with an excellent selection of hardware. The pickups are Reverend's own Talnico single coils. These are classic sounding with a touch more beef. The neck is reverse wound, reverse polarity for hum cancelling when used with the bridge. The bridge itself features stainless steel saddles. A set of locking tuners up the other end help keep the tuning stable. The pickups are hooked up to a master volume and tone control. The tone comes with a push/Pull switch that puts the pickups out of phase. It just adds to the tonal versatility of this instrument. 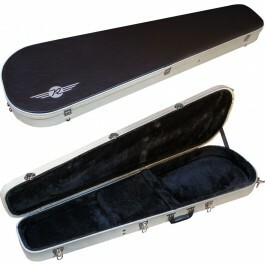 The Eastsider T has the look, feel and sound of a high end guitar, all at at frankly phenomenal price.